Whelp, Gamefreak did it. Generation 6 has been announced. I'm definitely not dissapointed with the mascots. I don't think the starters are very immpressive, though. We'll see how the rest of the Pokemon turn out. It looks like the Pokemon in battle are no longer a series of sprites to form an animation, but full 3D models? Overall, I would say I'm about as excited for this as I was for Black and White. Which isn't much. Is it just me or just this seem a lot sooner than usual. I'll play through them just like the other games. I hope the regional dex includes a lot of my favorites. That's why I enjoyed Black 2 and White 2 much more than the other games, it had the best regional dex ever. I wonder if it will be held in a new region. Also the new battle's look pretty sharp. Personally I was hoping for Ruby and Sapphire remakes before the next generation. It looks a lot like a modern Square Enix style of engine... I'd have preferred their traditional minimalistic sprites, but I won't judge until I've played it. 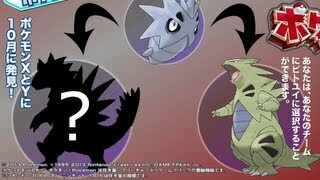 It looks very interesting, and I actually really like the starters... DEFINITELY better than B/W's starters. UGH, and they had to create B2/W2 to force us to choose them again. Pokémon X Version (Japanese: ポケットモンスターＸ Pocket Monsters X) and Pokémon Y Version (Japanese: ポケットモンスターＹ Pocket Monsters Y) are the primary paired versions of the upcoming Generation VI. The games will be available on the Nintendo 3DS. Both games were revealed during a worldwide announcement by Satoru Iwata through Nintendo Direct at 8 PM JST, on January 8, 2013. The paired versions will be released worldwide (except for select countries) on October 2013.
w0w!a neat concept of mathematics can be clearly seen just by knowing the names!let us see what will happen soon?! Diamond and Pearl have their mascot and than after a while Platinum was released. I think after X and Y are released a month or two later they'll be a Pokemon Z with a weird Z shaped pokemon that'll be like the Giratina of gen 6. Also... About Thiking of 80C. Gen VI is theory to be Copy of gen 2. What that mean? How is him role? Simple... A father of THREE MUSKETERS from UNOVA. VIRIZION TERRAKION and COBALION. Xerneas look similary to them. GenII was the sequel of GenI, GenIII was new, but in some way it continued the previous generations. Gen V is completely new, and it's a generation more suitable for new players rather than old one. It seems Nintendo created a whole new generation less linked with the previous ones so it could be suitable for young players rather than old ones that played Gen I, II, III. Alternative Pupitar Evo? I do not heard about it. where you got this from??? And what are the names of the alternative family? 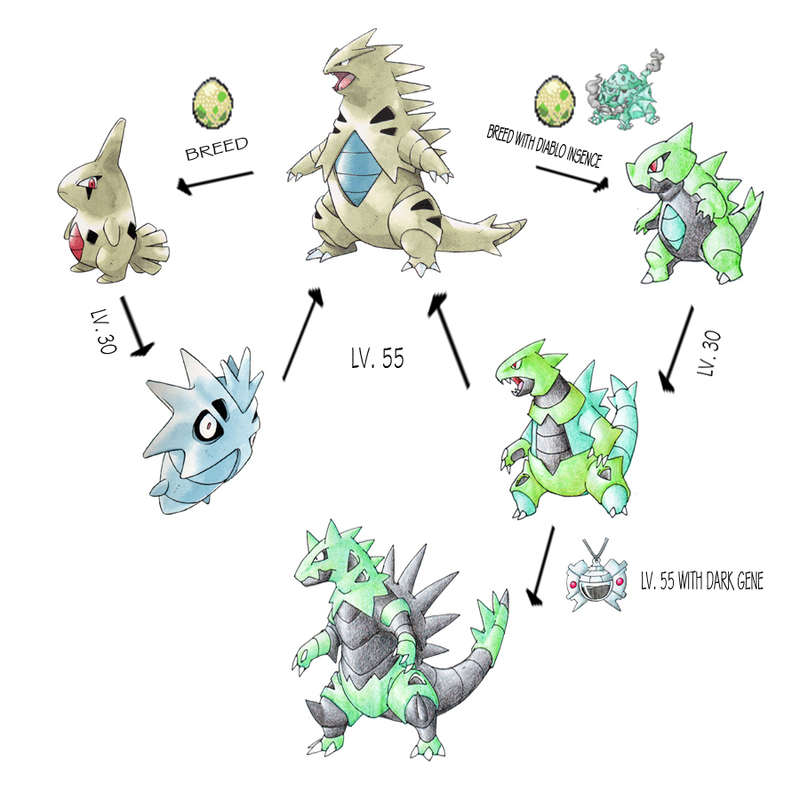 I saw the alternative final stadium evolution of Pupitar in a videoclip where one of the Nintendo staff, after a brief introduction of mr.Tajiri, shows an image of larvitar ---> pupitar and this one that has two arrows, one points to tyranitar as usual and the other one points to a silouhette (pokemon completely black with a question mark on it), that seems really closely to the final stadium of evolution of that pseudo-tyranitar Uchiha showed. I'll insert him in my hack Grape as well as Sylveon. And the names, were not disclosed.. But it may just be a Fake .-. Meybe in there they use some Beta Projects like HOONOGUMA, KAGE NO MUSHI or KURUSO. 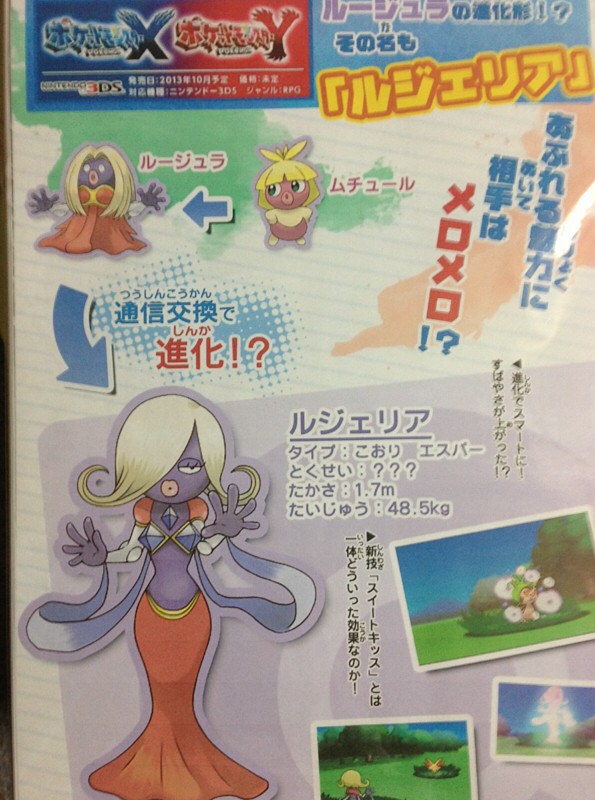 Jynx Evolution is fake, most of those announcement are created by fans. The Pupitar alternative evolution is not announced officially by nintendo, possibly is fake too. yes, the evo of jynx may be fake, see closely and you'll find it has colored borders in the sprite as well in the gameplay picture... but the alternativce evo of Pupitar it's true, I said, I saw an Official Nintendo Videoclip on the Net!